We would like to introduce ourselves, with dignity and pride, as one of the experienced & well reputed firms based in Pune, India, for providing professional Land Surveying & Geospatial Solution to our clients by using the 'state of the art' advanced technology of 3D Mobile LiDAR Survey & mapping System (3d Laser Scanning), UAV / Drone, dual frequency Differential Global Positioning System (DGPS), Electronic Total Stations (ETS), Ground Penetrating Radar (GPR) High Resolution Satellite images / Aerial photogrammetry / Remote sensing & GIS solutions. 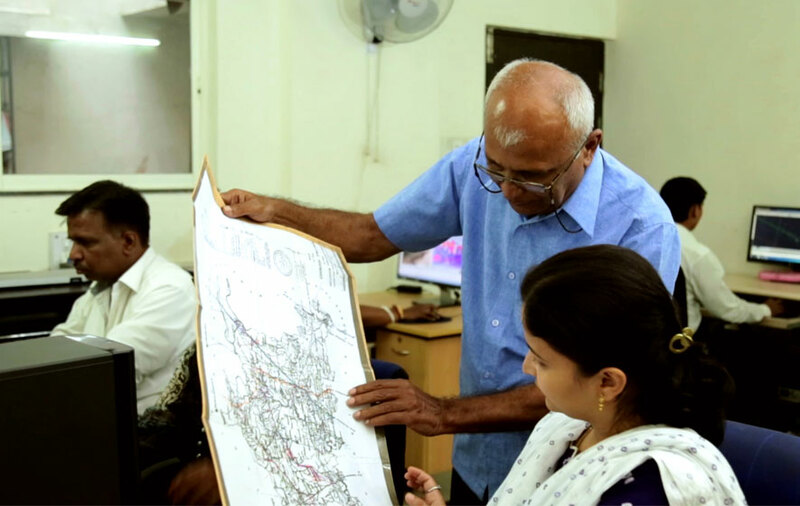 'Prashant Surveys' was established in 1992 and is founded by Mr. Shivanand A. Alatgi, voluntarily retired from Survey of India after serving for 24 years, having total experience of 43 years in the field of Land Surveying & mapping. The technical & business development teams are headed by his elder son Mr. Prashant S. Alatgi (M.E. 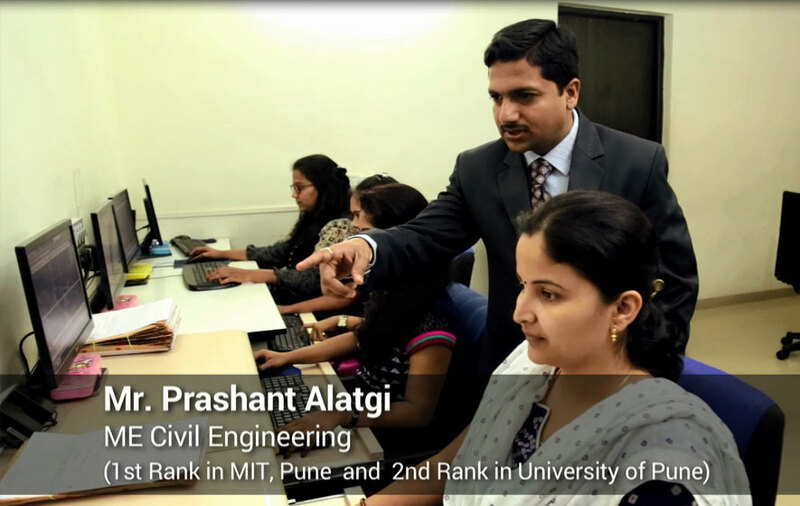 Civil, C&M, 1st Rank in MIT, Pune, India & 2nd Rank in University Of Pune, India). Mr. Prashant S. Alatgi has 17 years of field experience & expertise in use of modern electronic Land Survey instruments & technologies like 3d Mobile LiDAR Survey & mapping System (Leica Pegasus One), dual frequency Differential Global Positioning System (DGPS), Electronic Total Stations (ETS), High Resolution Satellite images, LiDAR data processing packages viz. Waypoint Inertial Explorer, Leica Auto PP, Leica Map Factory advanced; drafting packages viz. Autocad & GIS packages viz. Arc GIS. Mr. Prashant has also been certified by Government of India, Department of Space, ISRO, NRSC, Hyderabad, India where he was awarded First Class with Distinction on 5th March 2010 in the field of "Remote Sensing & GIS – Technology & Applications". He is a life member of Institute of Engineers and a life member of various organization viz. Indian Society of Remote Sensing (ISRS), Indian National Cartographic Association (INCA), Indian Society of Geomatics (ISG) to name a few. Our site execution team consists of highly skilled, experienced engineers, surveyors and professionals, along with our expert '3d Mobile LiDAR survey' data collection team, headed by our technical consultants mainly retired from Survey of India, with more than 30 years of experience. We own a wide variety of Advanced Land Survey Instruments & Equipment, including latest 'LEICA Pegasus One' and 'LEICA Pegasus Two' 3d Mobile LiDAR Survey & Mapping System, TRIMBLE 4800, 5800 & R8 dual frequency DGPS receivers, LEICA 1200 series Total Station Instruments, Distomats, Auto levels etc. We are proud to state that we were the 1st in private companies to procure LEICA Total Station instrument 18 years ago and again now we are the 1st company to procure LEICA Pegasus One’ 3d Mobile LiDAR Survey & Mapping System in India. We have a fully developed & integrated Survey data processing team, working with Licensed Arc GIS, Waypoint Inertial Explorer, Leica Auto PP, Leica Map Factory advanced software’s, using higher end Workstations capable of processing huge 3D point cloud mobile LiDAR data & photographs. Our computer division also consists of several higher end Intel desktop processors / Laptops, HP Design jet T830 large format coloured MFP (multifunction plotter, scanner & copier). We follow the working method and accuracy as per Survey of India norms. Being an empanelled guest faculty, we also provide special training programs on 'Mobile LiDAR, DGPS, GIS & the implementation of latest technology for providing complete Geospatial Solutions' for the top class Government officers from various departments at Yashwantrao Chavan Academy of Development Administration (YASHADA), IRICEN Pune, Maharashtra; PWD Karnataka & various Engineering Colleges, in & around Pune, India. To provide a complete one stop Geospatial Solutions to our clients under one roof using the latest 3D Mobile LiDAR, UAV / Drone, GPR, DGPS, ETS, RS & GIS Technology. To develop the 'state of the art' technology of Mobile LiDAR mapping and UAV for large infrastructure projects for completing in a very short time with required accuracy & budget. Our goal is to achieve a leadership position in our business by becoming the partner of choice for our customers.